While some people find car auctions intimidating, it really does not have to be that way. Most people are pleasantly surprised when they arrive at the auction and the staff helps them through the process. It truly is the best way to buy a cheap used car without the hassle of car dealers or the dangers of buying cars online from classified listings. 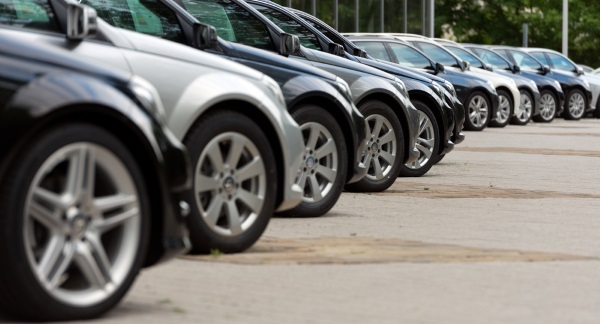 An auto auction provides a safe place to see lots of cars and trucks for sale at a single location without an annoying salesperson following you around and hassling you. With that said, it is important to follow these few tips when bidding at a public car auction. Also keep in mind that many auctions allow you to buy a car without having to attend the actual auction. Some people find this method more convenient than bidding against others but this option varies by location so be sure to ask. Either way, this information could come in handy when buying a second hand car at an auction. Do not arrive right at sale time when the auction starts or even just before. Almost all auctions allow you do walk around the lot and inspect the cars for sale at your own pace. Most importantly, many auctions are held at night time so it is very helpful to look over the auction cars with the sun still out so you can get a good look at each vehicle. If you want to pay with cash, that is always the easiest. However, one might not want to carry a lot of cash on them for safety reasons so most auctions allow you to place a small cash deposit after you buy a car so that you can then go retrieve the rest. Also, some locations will allow you to pay with a credit or debit card – albeit usually with a fee. Be sure to contact your bank before going to the auction to make sure they will approve the large purchase. As many auctions are at night, banks are usually closed and there may be a daily spending limit applied to your card. It’s always best to get this sorted out beforehand. Whomever’s name you want on the title will need to present a current, non-expired license. It is OK if it is an out-of-state license as long as it is current. You can arrange this with your insurer beforehand, but most include temporary coverage of recently purchased vehicles. Most auctions will not ask you to present any proof of auto insurance – that will be between you can local law enforcement. However, you will need to present proof of a policy to later get the vehicle registered for a tag. Where Do I Find Repo Car Auctions Near Me?